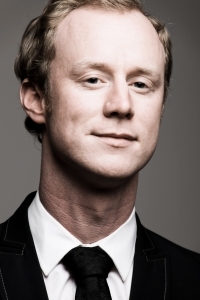 Melbourne-based harpsichordist, organist and pianist, Donald Nicolson is a prominent figure in performance and research of the music of seventeenth- and eighteenth-century Europe, continuing to work on both sides of the Tasman as keyboardist for the ACO, MSO, SSO, and New Zealand Symphony Orchestra. He has directed numerous performances from the harpsichord including the Melbourne Symphony and Australian Chamber Orchestras, and regularly teaches baroque practice at the University of Melbourne. Currently Donald is completing his PhD (Musicology) at the University of Melbourne investigating societal and rhetorical elements in the keyboard preludes Preludes of Louis Couperin. Donald undertook postgraduate studies at the Royal Conservatorium in The Hague, the Netherlands studying under Ton Koopman and Tini Mathot, focussing especially on the interpretation of the sixteenth-century English virginal music and the keyboard music of seventeenth-century France. Donald is co-founder of Melbourne baroque trio, Latitude 37. The ensemble performs regularly at the Melbourne Recital Centre, other venues in Victoria, and undertook two Chamber Music New Zealand tours. Three CDs have been released with ABC Classics. Donald is also a key member of Anja & Zlatna, an ensemble which examines the folk music of the Balkans and infuses it with the improvisational practices of the Baroque. They have released two albums; Ruse Kose and Oj, Vesela Veselice!